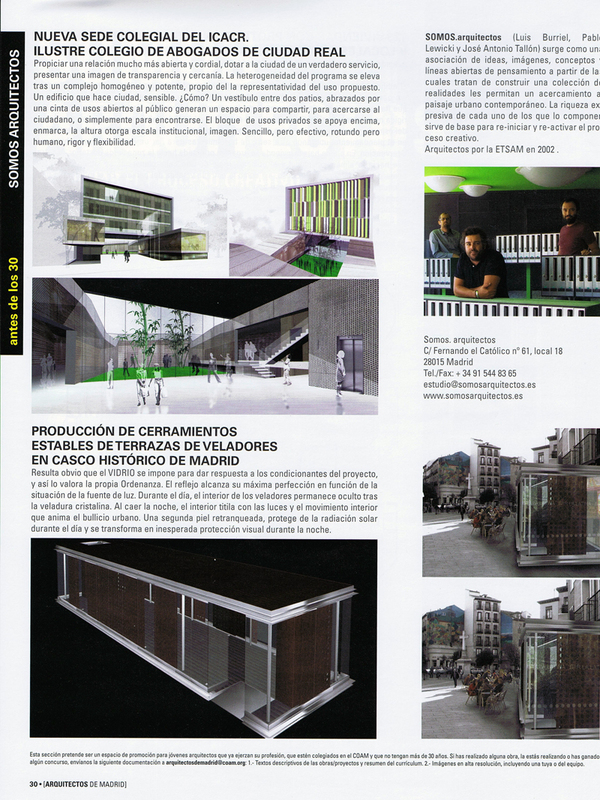 SOMOS ARQUITECTOS PUBLICATIONS: COAM. ARQUITECTS UNDER 30 YEARS OLD. COAM. ARQUITECTS UNDER 30 YEARS OLD. SOMOS.arquitectos published in ARQUITECTOS DE MADRID, 2010.02. in an article about "architects under 30 years old", showing a selection of our projects.